What could be more romantic than William Shatner asking you to stand under his umbrella? What makes old ladies go through their oxygen tanks faster than James Earl Jones saying, "baby, baby, baby." Or how about Jude Law talking about his "muffin?" 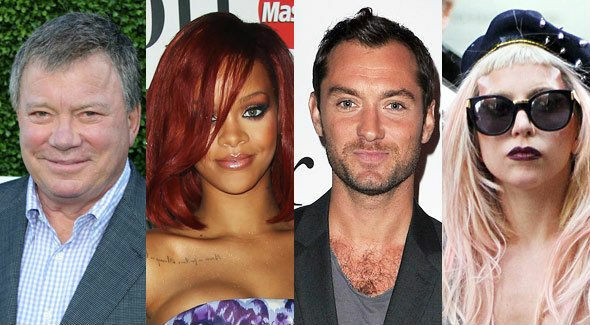 Take a look at these celebs who are taking the words of our pop icons very, very seriously. From Rihanna to The Beatles, in the end, they're all poets.